Our yard is is exploding with bushes full of this flower. What is it??? 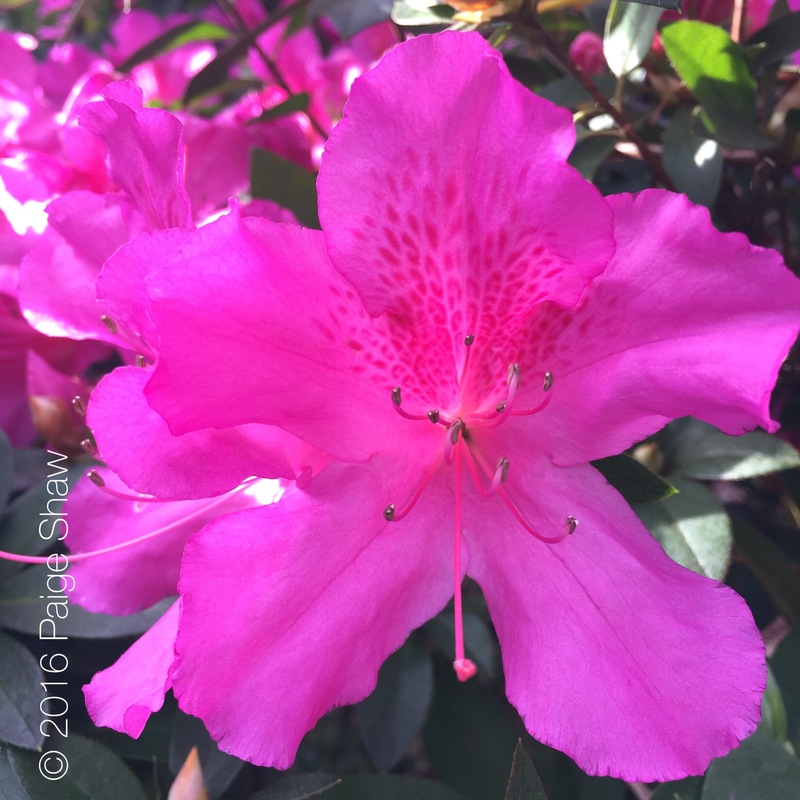 This entry was posted in Photo of the Day 2016, USA and tagged Charleston, Photo of the Day, Photography, Spring on March 13, 2016 by Paige Shaw. It’s an azalea! Spring in the South and here too. Thanks Claudia. I was counting on you!